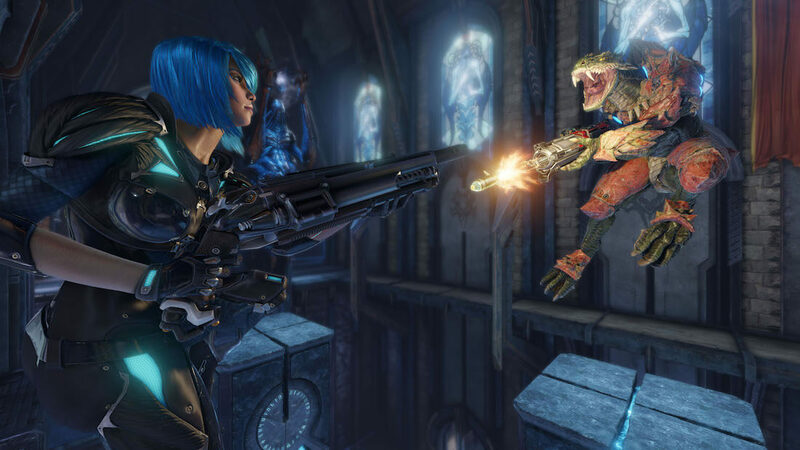 If you did not get selected for the Quake Champions closed beta that started back in April, now is your chance to jump into the arena. Starting on Friday, the beta will be open to the public. Some players, of course, will have a head start and have a better feel for the game than those just joining. However, the addition of a “new 4v4 Sacrifice mode” that even those in the closed beta have not seen might level the field a bit. At this time so little is known about the new PvP match that everyone will be going into it blind. Naturally, it consists of two teams of four players each, as the name indicates, but it is unclear what the “sacrifice” aspect entails. "[Sacrifice mode] is being developed with an eye toward helping Quake Champions find a meaningful niche for itself on the pro esports scene." Developers designed the mode with esports in mind. Tim Willits, an id Software game designer, told PC Gamer that they are hoping Sacrifice becomes a feature in professional competitions. However, the popularity of the mode will be a big factor in whether or not the mode sees tournament play. The open "large scale tech test” will run 24/7 as opposed to the closed version’s “weekend only” schedule. The public beta begins on May 12 and will run through May 21. If you tried to get into the closed beta but were not selected, Bethesda already has your information and will send you an invite to the open beta soon. Otherwise, you have to got to the Quake Champions page and sign up.